Bleach 634 see’s Jugram defeating Bazz-B after their fight ends with Jugram using his swordsman skills to cut off Bazz’s hand and letting him bleed out outside the castle floors. Bazz’s determination to keep both their dreams alive was unsuccessful since Jugram’s desire to follow Yhwach was stronger than his bond with Bazz-B. Bleach 634 begins with Jugram’s attack on Bazz making him fall over as it was quite the power. They reach outside the castle after Jugram’s attack, Jugram mentions that Yhwach won’t gain anything form them fighting. Bazz throws up a large amount of blood. Bazz mentions that he will gain something from this, he came there to kill him after all. He then enables his burner finger 4 on his right arm into a large sword like object. Jugram mentions that he has told him to stop, Buzzard Black! Jugram jumps to miss the large attack from Bazz, while Bazz tells him to come at him. Bazz asks if he’s going to run away again, then asks if he’s scared of losing to him. We go to the past when it’s been three years later after Jugram joined Yhwach as his right hand man. He mentions that personal fights between Sternritters are forbidden, they’re punished with the death penalty. No matter how many times Bazz provokes him, Jugram will not fight him. Jugram just walks away after this. One of the soldiers there mentions that it must be annoying to be pestered by a newbie all this time. Maybe he doesn’t seem influential enough as a captain. Jugram mentions that it could be so, but he will follow his example as he talks to Vice-Captain Hubert here. He asks if the newbie is the monkey he saw previously. He’ll do something to fix his attitude. Jugram mentions that personal fights among Sternritters are punished by death. Are you going to die because of him, while Hubert mentions that if no one sees them then his majesty will never know. Jugram mentions that he’s watching. Bazz removes an arrow from the ground, three years have passed since Jugram had disappeared with Yhwach. Bazz-B begins his fight as he bleeds out in the current battle, he thinks to himself that when he entered the Sternritters 3 years ago, he had already become a captain. Maybe he was a captain since the beginning. But he wasn’t there so couldn’t know. Anyway, Jugram kept on dodging his provocations over and over again. No matter how much he snarled at him. He never once agreed to fight him. Bazz B kept on trying his best to fight against Jugram but he never once did, he thinks that he hasn’t yet lost to him. As Bazz B attacks, we quickly see Jugram finally move and cut off his hand as it fly’s off and cuts the building block behind him. With his left hand, Bazz tries to activate his full power as he enables his Burning Full Fingers as he launches the swirled attack towards Jugram, however out of nowhere, Jugram had already attacked Bazz using his sword as he dodged his Burning Full Fingers. Bazz walks towards Jugram and holds onto his clothes as he kneels whilst looking down. Bazz mentions that he has lost, then mentions that things never go as one wants, as he thought losing to him would be more shameful. We never see Jugram’s face as it seems that he also might be emotional. Bazz B lays on the ground outside the castle they were previously in, the moon has come up while Jugram walks up the stairs. He remembers the moment when he first told Jugram that he will become his henchman, as well as telling him that they’ll become the strongest of Quincies. His eyes close as he finally mentions Jugo. Bleach 634 ends here. A wonderful chapter indeed as the story between Jugram and Bazz has ended, on top of which their story was indeed quite emotional. It seems that we didn’t quite see Jugram’s face after killing his own childhood friend, he might be very upset here. He could still carry on Bazz’s will in killing Yhwach. Can’t wait for next week’s Bleach 635 when we continue on to see what happens next in this deadly war. I gotta say, he may not have been my favorite Sternritter, he certainly was more interesting now. Especially sense his full name is Bazzard Black. Yeah agreed, Bazzard Black is actually a pretty awesome name lol. Do you feel like Jugram killed him or is he just unconscious and might come back later on? Ya Bazz-B sounded like a nick name anyway like Jugo or Lili, or Gigi, Candi, And Mennie. It can go either eat in my opinion. He could survive or be could die. I don’t mind at man. 😉 I enjoy are talks. Like I said before, I don’t like Bazz-B, but this past couple of flashbacks made me like him more. Not as much as Liltotto or Giselle, but better than other returning characters like Grimmjow, Ganju, or Yukio. Good chapter, past couple have been okay. I feel sorry for Bazz-B, but everyone knew nothing was coming from this. Hopefully those other 2 weak ritters (G & Z) don’t get a flashback and die already. We need modern day arc battles. I’m honestly not sure if they will die. While Giselle is kinda weak, Liltotto isn’t weak at all. She is one of the strongest Sternritter around. They’ll definitely die (much weaker than BazzB) its just who’s going to kill them. They got no vollstanding (same as shinigami with no bankai), only matter of time. I also don’t see how they’re relevant in the arc anymore. Liltotto isn’t weaker than Bazz-B. She is as strong if not stronger than him. Unlike Bazz-B, her and Giselle were not hit with Auswählen, they just had their Vollständig taken. She survived fighting Bankai Byakuya with only moderate injures with Meninas. Her and Meninas were stronger than Robert, Candice, and NaNaNa. She even defeated Meninas under The Love control and than killed Pepe. She has impressive intelligence, durability, endurance, speed, and her Schrift is pretty powerful. If they were irrelevant to the story, they wouldn’t be alive right now. Different views, Liltotto is definitely weaker than BazzB. The 5/6 ritters who fought Byakuya all survived seeing as how he didn’t go for the kill, so its not impressive. Sternritter L & P are weak so those victories don’t matter loll. She is intelligent but her power is average or whatever. Kubo will show soon I guess. Byakuya used his Bankai, unlike Ichigo, who isn’t trying to kill any of them, Byakuya doesn’t let his enemies survive. He kills them. Plus Bazz-B is strong, but he is at his level not just because of Yhwach, but Jugram as well. He got two power ups. I don’t know about Liltotto, but she is a prodigy. Her ability isn’t average. Its just unusual. Remember the Oken Clothing? The incredibly powerful cloth that Shutara created? The Glutton was able to eat it without any trouble. While As Nodt couldn’t break Rukia’s With His Spirit Weapon. Mask had to power up to destroy Renjis. And Candice completely destroyed Ichigo’s. Kubo will show us what she is capable of. Don’t remember seeing his Bankai & Byakuya is known for killing his enemies but didn’t that time idk why (he had plenty of time to kill them all but did nothing). Where does it say Liltotto is a prodigy? The 0 Squad clothing was meant to help Ichigo and others go down passing the 72 barriers, it doesn’t mean its invincible. Yhwach is probably wearing the best clothing possible for a qunicy, but Ichigo ruined it in his 1st fight with him. Well whenever Renji shows up and tells Ichigo to move on, Bazz-B and NaNaNa come at him, but Byakuya’s Bankai blocks their way. You can see his right hand controlling it that means he’s in Bankai. Also I don’t know about that fight sense it’s off panel, but knowing Byakuya, he was trying to kill them. It wasn’t stated in the mange Liltotto is a prodigy, I’m saying she is and her flashback will reveal it soon. She is the youngest Sternritter and the smartest around. Just like Toshiro, who is the youngest Captain. The Oken Clothing isn’t invincible, I’m just saying it possess impressive defense. Ichigo had his completely destroyed by Candice’s Glavano Blast. His current outfit his own, not the Oken Clothing. It hasn’t been revealed Yhwach has anything like the Oken Clothing, he just knows what it is. And Ichigo couldn’t even damage Yhwach, let alone ruin his outfit, best thing he did was push him out of the palace with black Getsuga Tensho. Read again, ur right he’s in Bankai. But then later u see them all down but Byakuya lets them live. I don’t see her as a prodigy or special but I guess we’ll see soon. I think his current outfit has good defence, the one candice ruined was meant for him to fight with & didn’t matter. Yhwach stabbed Ichigo in the neck, then Ichigo released his resiastu or a Getsuga Tenshou. It burned Yhwach’s left arm completely & left side body a bit. Also, didn’t anyone notice in this chapter that Jugram is incredibly powerful? I mean, I know he is stronger than Bazz-B, but still. When Yhwach sleeps, most of his power or Reiryoku transfers to Jugram, making him the strongest Quincy of the Empire, even stronger than the Schutzstaffel. But when Yhwach is awake, Jugram is as strong as Shunsui and Jushiro, and weaker than the Schutzstaffel. So Bazz-B didn’t stand a chance against him. I think Bazz-B choose to stay and hold off Jugram cause they have history, while Liltotto and Giselle go find Yhwach. I also believe Jugram will fight Shunsui when Yhwach is awake, so they can be even in power. Yeah at the end of the fight we saw the moon, so I think this was proven to be correct. I guess that his power was enhanced and I’m guessing that Bazz didn’t know? Nevertheless, I don’t this this fight was all that fair. Ya I thought it was about the night and day as well. But I don’t think so. Its when Yhwach sleeps is when Jugram becomes this powerful. I mean, did you see that slash he did to Bazz-B? He cut off his arm, and the tower behind him. I think this was a plan, maybe Bazz-B was a distraction? Anyway, Jugram also said fights between Sternritter is punishable by death. But when Yhwach isn’t around, they do fight. Like with Pepe. Oh right, I guess Jugram was supposed to guard Yhwach, but Bazz took a few minutes of his time which could have meant Liltotto and Giselle killing him. I guess that was his only choice, he most likely couldn’t kill Yhwach directly, so got the kills the girl to do it for him while he distracts him. I want to see where Jugram is going now, possibly to his room to check if everything is okay maybe? That’s what I’m thinking. I kinda think Bazz-B is dead. Although I could be wrong. Maybe Giselle turn him into a Zombie when he dies?? I do think Jugram will return to his room. Maybe we’ll see were Liltotto and Giselle are. I’d highly think that he would be turned into a Zombie with his own consciousness back to normal, if its something she can give to her zombies. A few chapters ago before this friends chapter began, Liltotto, Giselle and Bazz got ontop of a building with a start of some sort on it. Not sure you remember but if you do, what do you think it might have been? Giselle’s The Zombie can only turn Quincy into zombies when they die. Remember with Bambietta? She could talk and show emotions, but Toshiro and the others had their emotions completely erased. So if Bazz-B does become a zombie, he will have his emotions, but be submissive to Giselle. Oh you mean that star thing? That’s the Gate of the Sun. This is a portal the Quincy use to invade the Serietei in the first invasion. Its kinda the Quincy version of the Senkaimon. That’s why these three managed to get to the Palace so quickly, while the Shinigami are extremely far way. Ah right that clears things up quite a bit. Does Giselle have control over how submissive the zombie can be? Like for example, low submissiveness for Bazz so he can still and fight as he wills. Hmmm. That’s a good question. From what I saw with Bambietta, she followed Giselle’s orders no matter what. But she can walk and talk on her own as if she was alive. Toshiro could to but he was a legit zombie. So I think Bazz-B would be able to walk and talk as he pleases, and sense his motives are the same as Giselle’s and Liltotto’s, he will fight. But I think he will be under her control when fighting. Only changing his actions when Giselle says so. Also, he’ll have dark red skin. Hmm I see what you mean, other series are doing better but I believe that Bleach should have more then 1 character which can bring out the potential of Bleach, for example OP has Zoro, Sanji, and others whose fights and action scenes can bring the series above others and beat them. I don’t want Bleach to end up in a way where Ichigo is the only one that can help top the series within a weekly favourite. Grimmjow vs Nakk would be awesome, but Grimmy will defo have a hard time with it. Definitely, if Ichigo was the only interesting character, it wouldn’t be good for Bleach. At the moment, I would care about fights for Byakuya, Rukia, Zaraki, Aizen, Grimmjow, or Ichigo. The problem is that while I liked Bazz and was eager to see him fight, it was wasted because most of the fight was off screen and the only panels that we got to see where Bazz just being routed so it wasn’t so much a fight as it was just a beat down. I look forward to Grimmjow vs Nakk being more of a tough fight that will be neck and neck for a while. OP had been in a slump for me recently, but now it’s starting to finally move forward with the plot. Every week I compare whichever chapters came out for the various titles that I follow to see which is the winner. Naruto beat Bleach and OP for quite a while in its final months, but Bleach has probably won the most times overall with OP rarely ever attaining first. (Although this time it made it to the top) The record would likely be Reborn! which held 1st place for maybe a year or longer. I highly recommend the series by the way, but it’s fairly long so you would likely not want to start it right away. Ohh interesting, Kubo has been skipping a lot of the story mixing fights and past recaps which I hopefully think the anime guys will elaborate. Oh I started the Hitman Reborn series a long time ago, watched the first episode a while ago but never found the time to watch it. I’m currently watching OP so don’t have a lot of time for this springs new series and other precious series. The current OP Brook Arc that I’m on is certainly getting pretty epic! You’ve made it pretty far in! Soon you’ll be at the big Impel Down/Marineford arc, which is known as one of the highlights of the series. Prepare for like 100+ episodes of nonstop fighting with Luffy and the others! Reborn! really got good once the future invasion started, but the anime sadly ended early and never adapted the final two arcs of the manga, which were awesome. 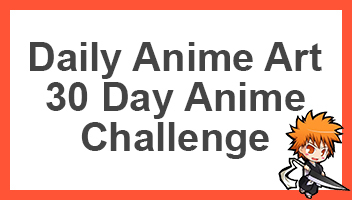 OP definitely takes up a time, but it’ll certainly be well worth it once you are caught up with the title! I am hoping that Kubo gives us some big fights without a lot of interruptions soon so we can see what the villains are really made of! That’ll be awesome, I see the attraction with OP, I can see why people say OP is one of the big three and why it’s such a good show. I will definitely be watching this one in the long run. I’ll admit too, I have also always wondered why One Piece is one of the big three like Naruto and Bleach, and of course number 0 the best Dragon Ball. I have been watching some of it. Other than the art work, it’s not that bad and the fights are surprisingly good. With 700 chapters, the show is quite slow at times, but as I’m batch watching it doesn’t feel as bad. Nevertheless, it’s a good show and might be the next show I begin narrating when I talk about anime’s and manga’s. We’re all slowly waiting for the day Aizen returns and starts to fight. Same with Ichigo, Shunsui, Zaraki, Urahara & Byakuya.